New Azure innovation advances customer success for the cloud- and AI-powered future - In preparation for Microsoft Inspire in Las Vegas this week (where partners and Microsoft meet to connect, learn, and collaborate to accelerate the digital transformation and success of our customers), Jason Zander (Executive Vice President, Microsoft Azure) highlighted new offers and technologies that will help organizations navigate their own digital transformation and build the critical foundations for cloud and AI. He showcases momentum from businesses and partners who are investing in intelligent tech from the cloud to the edge. This roundup post provides an overview of news items included below, including Azure Data Box Disk, Azure Virtual WAN, Azure Firewall, Azure SQL Data Warehouse performance, an offer for customers of Windows Server and SQL Server 2008/2008 R2, Azure Stack, and more. Announcing new offers and capabilities that make Azure the best place for all your apps, data, and infrastructure - Windows Server and SQL Server 2008/2008 R2 are nearing the end of support in January 2020 and July 2019, respectively. Julia White (Corporate Vice President, Microsoft Azure) explains how you can migrate to Azure with free Windows Server and SQL Server 2008 extended security updates for an additional three years by moving those servers to Azure. In addition, for customers running any version of Windows Server or SQL Server, Azure Hybrid Benefit helps you save money with Azure like no other cloud can by providing up to 55 percent savings of running Windows Server or SQL Server on Azure. Announcing new options for SQL Server 2008 and Windows Server 2008 End of Support - Takeshi Numoto (Corporate Vice President, Cloud + Enterprise) provides further details on the end of support of these products, and the 2008 End of Support Resource Center. Customers with active Software Assurance or subscription licenses can purchase Extended Security Updates annually for 75 percent of the full license cost of the latest version of SQL Server or Windows Server, or they can receive free Windows Server and SQL Server 2008 extended security updates for an additional three years by moving those servers to Azure. Azure sets new performance benchmarks with SQL Data Warehouse - Raghu Ramakrishnan (Chief Technology Officer, Azure Data) announces that Azure SQL Data Warehouse has set new performance benchmarks for cloud data warehousing by delivering at least 2x faster query performance compared to before. Gigaom Research recently ran benchmark tests between Azure SQL Data Warehouse and Amazon Redshift using a workload derived from the well-recognized industry standard TPC Benchmark™ H (TPC-H). 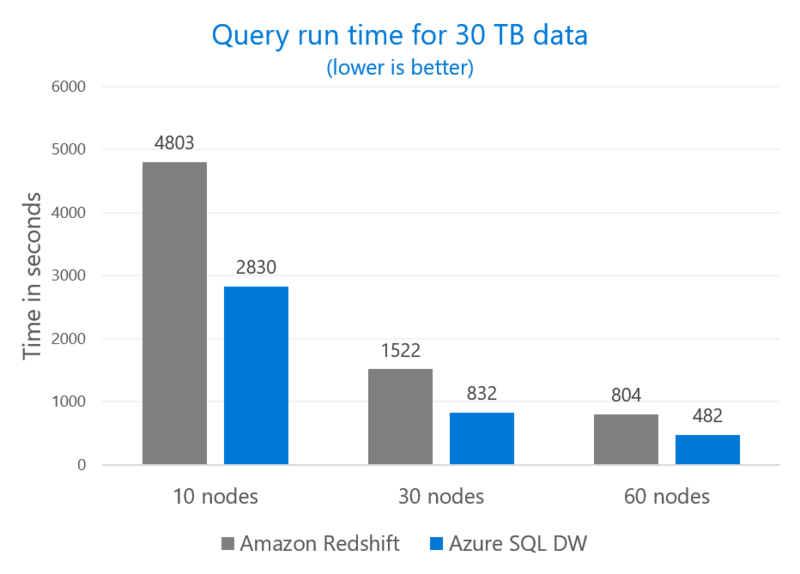 According to the Gigaom research, Azure SQL Data Warehouse ran 30 TB workloads at least 67 percent faster than Amazon Redshift. Azure SQL Data Warehouse also ensures that data is accessible across your organizations. We enhanced the service to support 128 concurrent queries so that more users can query the same database and not get blocked by other requests. In comparison, Amazon Redshift limits maximum concurrent queries to 50, limiting data access within the organization. Welcome our newest family member - Data Box Disk - Azure Data Box Disk provides a simple, secure, SSD disk-based offering for offline data transfer to Azure. 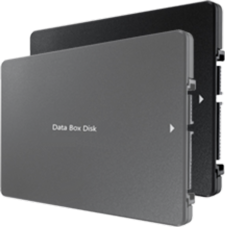 Customers that have data transfer requirements but lack the onsite technical expertise required for more robust data transfer offerings can use the Data Box Disk service to transport as much as 40 TB of AES 128-bit encrypted data into Azure by simply connecting the disks to a computer via USB or SATA and using drag-and-drop or Robocopy commands for data transfer. The free Data Box Disk Preview is available in the EU and US. Separately, Azure Data Box, currently in preview, has expanded the preview to Europe and the UK. Announcing public preview of Azure Virtual WAN and Azure Firewall - Learn how you can build a secure, high-performant, and reliable global network in the cloud for your mission-critical services. Azure Virtual WAN is a networking service providing optimized and automated branch to branch connectivity that makes it easy to connect to and through Azure by seamlessly connecting their branches to each other and Azure using last mile Internet. Azure Firewall is a cloud-native network security service that protects your Azure Virtual Network resources. It is a fully stateful firewall-as-a-service with built-in high availability and unrestricted cloud scalability. Customers can centrally create, enforce, and log application and network connectivity policies, spanning Fully Qualified Domain Names (FQDNs), IP Addresses, ports and protocols across subscriptions and virtual networks. Introducing Dev Spaces for AKS - Gabe Monroy (PM Lead, Containers, Microsoft Azure) announces the public preview of Dev Spaces for Azure Kubernetes Services (AKS), an easy way to build and debug applications for Kubernetes. Though Dev Spaces is only available on Azure, the scaffolding builds upon the open source Draft project, which provides an inner-loop experience on any Kubernetes cluster. Learn how you can rapidly iterate on code changes, remotely debug containers, and easily bootstrap new applications. Azure NetApp Files now in public preview - Andrew Chen (Principal PM Manager) announces the public preview of Azure NetApp Files, an Azure native service powered by NetApp's leading ONTAP technology, which has been long trusted by enterprises to meet their requirements for performance, scalability, data management, security, and hybrid capability. NetApp enables enterprises to overcome the challenge of deploying file-based workloads to the cloud. During preview, Azure NetApp Files Azure NetApp Files is available in East US and will soon be offered in West US 2, and it will be offered at a reduced price while in preview. General availability of user behavior analytics tools in Azure Application Insights - Introduced at Microsoft Build 2017, the user behavior analytics tools for Application Insights is now generally available. Users, Sessions, Events, and the other user behavior analytics tools are part of each Application Insights resource in the Azure portal. In this post, you can learn what's new since the release to preview last year. Power BI Embedded dashboards with Azure Stream Analytics - Power BI Embedded simplifies how ISVs and developers can quickly add stunning visuals, reports, and dashboards to their apps. Using Power BI with Azure Stream Analytics enables users of Power BI Embedded dashboards to easily visualize insights from streaming data within the context of the apps they use every day. With Power BI Embedded, users can also embed real-time dashboards right in their organization's web apps. The Azure Podcast: Episode 237 - DevOps with AKS - A great in-person discussion with two of my colleagues at Microsoft, Daniel Selman who is a Kubernetes Consultant and Razi Rais who focusses on DevOps and Blockchain. We talk about how a Developer can quickly go through the motions to package and deploy applications to AKS and monitor them as they run. Route Matrix, isochrones, IP lookup, and more added to Azure Maps - Chris Pendleton (Principal PM Manager, Azure Maps) announces several new capabilities in Azure Maps for building mission-critical, large-scale apps for your mobility, IoT and enterprise solutions, including: Matrix Routing for determining the travel time and distances from a set of origins to a set of destinations; isochrones (or Route Range) to determine the distance from a single point that a user can reach based on time; batch geocoding enables customers to post bulk addresses for geocoding or finding business locations in a single request; batch routing service enables customers to post a list of origins and destinations to the batch route service to return the estimated time and distance to and from each respective origin and destination; new map canvasses, including satellite imagery; new map control modules; return polygons for area features, such as administrative districts (e.g., counties); and the ability to map IP addresses. Azure HDInsight now supports Apache Spark 2.3 - Apache Spark 2.3.0 is now available for production use on the managed big data service Azure HDInsight. Ranging from bug fixes (more than 1400 tickets were fixed in this release) to new experimental features, Apache Spark 2.3.0 brings advancements and polish to all areas of its unified data platform. 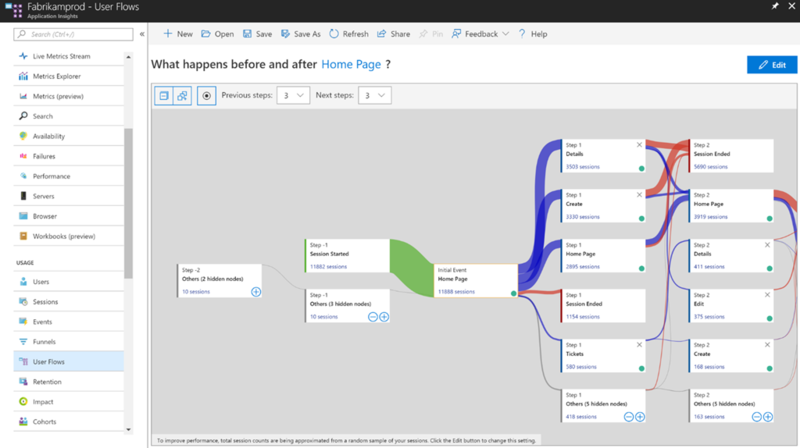 Maxim Lukiyanov (Sr. PM Manager, Azure HDInsight) provides details on this release, which has something for everyone, including data engineers, data scientists, business analysts, and developers. Kafka 1.0 on HDInsight lights up real-time analytics scenarios - Dhruv Goel (PM, Azure Big Data) covers the release of Apache Kafka 1.0 on HDInsight, including idempotent producers so that you don’t have to deduplicate; transactions for multi-topic and multi-partition atomic writes; exactly once semantics, and support for record headers. Announcing Azure Expert MSPs - Corey Sanders (Corporate Vice President, Azure) expands on the recent announcement of the Azure Expert Managed Services Provider (MSP) program, which gives our most capable Azure MSPs full support to help drive revenue for themselves—and their customers. These expert partners have proven real-world proficiency and skills, for datacenter lift-and-shift, born-in-cloud new applications, and everything in-between. Annually, Azure Expert MSPs complete a rigorous audit by an independent, third-party auditor, in which they must provide multiple customer references for Azure managed services projects delivered over the last 12 months. Latest updates to Azure Database for PostgreSQL - Sudhakar Sannakkayala (General Manager, Azure Data) provides an update on Azure Database for PostgreSQL, which released to general availability in March of this year, including: virtual network service endpoints in public preview; support for large databases (up to 4 TB) and increased IOPS (up to 6000 IOPS); Geo Restore for geo-redundant backups and recovery is now GA; support for PostgreSQL 10.3 is now GA; migration support with Azure Database Migration Service (DMS) preview; memory-optimized pricing tier is now GA; and regional availability increased to 28 countries/regions worldwide. Latest updates to Azure Database for MySQL - Sudhakar Sannakkayala (General Manager, Azure Data) provides a similar update on Azure Database for MySQL, with most of the capabilities outlined above for Azure Database for PostgreSQL, but adds Data-in Replication to synchronize data from a MySQL server running on-premises, in virtual machines, or database services outside Azure into Azure Database for MySQL. As you would expect, the updates for Azure Database for MySQL do not include support for PostgreSQL 10.3. PHP Minor Version + Xdebug Update for August 2018 - In August 2018, we will update the Azure App Service PHP stacks to the latest available versions (7.1.19 and 7.2.7). In addition, we will also update the Xdebug binaries, including support for PHP 7.1 and 7.2. Xdebug paths are changing, too. See this post from the App Service Team to get the full details. Azure Friday | Episode 450 - Azure SignalR Service - Xiaokai He joins Scott Hanselman to discuss Azure SignalR Service. See how easy it is to start building your real-time web application without setting up your own SignalR server. Azure Friday | Episode 451 - Azure Reserved VM Instances (RIs) - Yashesvi Sharma joins Scott Hanselman to discuss how to significantly reduce costs up to 72 percent compared to pay-as-you-go prices with one-year or three-year terms on Windows and Linux virtual machines (VMs). When you combine the cost savings gained from Azure RIs with the added value of the Azure Hybrid Benefit, you can save even more. Lightning fast query performance with Azure SQL Data Warehouse - At the heart of every distributed database system is the need to align two or more tables that are partitioned on a different key to produce a final or intermediate result set. Data movement is an operation where parts of the distributed tables are moved to different nodes during query execution. This operation is required where the data is not available on the target node, most commonly when the tables do not share the distribution key. The most common data movement operation is a shuffle. Tomas Talius (Partner Architect, Azure Data) goes under the hood of Azure SQL Data Warehouse (SQL DW) to see how the shuffling speed has improved to provide significant query performance improvements. Enabling partner success at Microsoft Inspire 2018 - Microsoft Inspire 2018 kicks off today, July 16th, in Las Vegas. Charlotte Yarkoni (Corporate Vice President, Growth + Ecosystems) outlines how we continue to extend our cloud marketplace, Azure Marketplace, and AppSource, capabilities to make it the best place for partners of any type to be discovered, evaluated, and ultimately have their offerings purchased and deployed by our customer base. Next year, for the first time in Microsoft’s history, we will be putting partner solutions, applications as well as consulting and managed service offers, in our product catalog alongside our Microsoft products and services. This month, we released a set of multi-partner Integrated Solutions across three vertical areas through Azure Marketplace, such as Customer 360 Powered by Zero2Hero (by Bardess, Cloudera, Trifacta, and Qlik) and Rapid Commerce (by Publicis.Sapient, DataStax, and Acquia). She also announced the launch of the Cloud+AI Partner Community to act as the primary online location for partners to access the information they need. Azure webinar series: Connecting, Building, and Protecting Your Network - Join us for this webinar on Wednesday, July 18, 2018 (10:00 AM - 11:00 AM Pacific Time) to learn: The Microsoft vision for the future of the cloud-centric network, about two new services that target the changing boundaries of the application landscape, and how our partners and customers are adapting their networks and security to a cloud-based model. Streaming analytics use cases with Spark on Azure - Join the Streaming Analytics Use Cases on Apache Spark on-demand webinar to learn how to get insights from your data in real-time and see a walk you through of two Spark Streaming use case scenarios: IoT Analytics and Clickstream Analytics. Service Fabric Community Q&A 26th Edition - The Service Fabric Team will be holding their 26th monthly community Q&A call this Thursday, July 19th at 10:00 AM Pacific Time. As always, there is no need to RSVP. Just go to http://aka.ms/sfcommunityqa at 10:00 AM Thursday and you’re in. Azure IoT Central available for partners to manage and extend customer solutions - Sunil Tahilramani (Senior Product Manager, Azure IoT) covers a number of features that make it easy for partners to resell, manage and extend customer solutions, such as Azure IoT Central are now available in Azure CSP subscriptions; enable powerful workflows and new scenarios including Connected Field Service; unlocking data from IoT Central for deeper insights; and a Power BI solution template. Consulting offers in Azure Marketplace arrive in Canada - Whether you are seeking someone to help learn new skills in Azure, handle the unique parameters of migrating a sensitive workload, or create high-impact visual storytelling to drive business decision making, Azure Marketplace makes accessing this expertise easier than ever. The partners in Azure Marketplace can help you get started with confidence to right-size and optimize your cloud. We added Consulting Services offers to Azure Marketplace for US customers in May. Consulting Services offers are now available in Canada, too. How Microsoft Azure Stack means transformation and opportunities for partners - Talal Alqinawi (Senior Director, Azure Marketing) outlines how the partner ecosystem has been instrumental in unlocking some amazing scenarios where customers are using Azure Stack in remote, often disconnected, environments to deliver value to businesses and communities. Learn how your role as a partner can cover one or all of the phases in the journey of an Azure Stack Customer. Azure Marketplace new offers June 1–15 - The Azure Marketplace is the premier destination for all your software needs – certified and optimized to run on Azure. Find, try, purchase, and provision applications & services from hundreds of leading software providers. In the first half of June, we published 21 new offers, including OutSystems on Microsoft Azure, SoftNAS Cloud Enterprise, and Windows Server 2019 Datacenter Preview. The IoT Show | Dynamics Connected Field Service for IoT - Kyle Young, Principal PM Manager in the Dynamics team shows us how the integration between Azure IoT Hub and Dynamics Connected Field Service allows automating workflows and bridge the world of IoT with the enterprise. The IoT Show | Connecting Legacy Systems to Modern IoT Apps - Building IoT applications often requires connecting existing systems and infrastructures to the Cloud. Chris Segura, PM in the Azure IoT team, tells us what that entails and how Azure IoT Edge can be used to bridge legacy systems to modern IoT applications powered by the Cloud. Quickstart: Create a Kubernetes dev space with Azure Dev Spaces (.NET Core and Visual Studio) - Follow this quickstart to learn how to set up Azure Dev Spaces with a managed Kubernetes cluster in Azure. iteratively develop code in containers using Visual Studio, and debug code running in your cluster. Quickstart: Create a Kubernetes dev space with Azure Dev Spaces (Node.js and VS Code) - Follow this quickstart to learn how to set up Azure Dev Spaces with a managed Kubernetes cluster in Azure. iteratively develop code in containers using VS Code, and debug code running in your cluster. A Cloud Guru | Azure This Week - 13 July 2018 - In this episode of Azure This Week, Dean takes a look at the Public Preview of Immutable Blob Storage, General Availability of user behaviors in Application Insights, and there’s a new free e-book on serverless architectures.